Following the much anticipated reveal of their latest console, codenamed project Scorpio, Microsoft chose the E3 conference to unveil the Xbox One X. Given that this new, formidable spec will easily make this the most powerful console on the market, being 4k and VR enabled, it is unsurprising that there is global excitement in the gaming communities to give this baby a whirl. 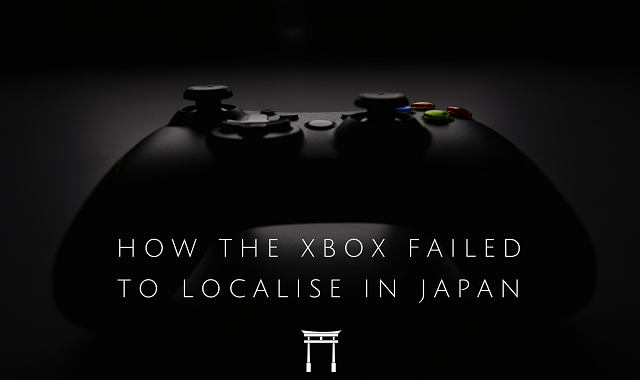 However, there is one place that the Xbox brand has never been able to gain a solid foothold: Japan. Since the release of the original Xbox in Japan sales have lagged, with cheaper and weaker consoles taking up the market share. As the Japanese gaming market was estimated at being worth $12.4 billion in 2016, making it the 3rd largest in the world, it would be hugely detrimental for Microsoft to continue to allow this disconnect to stand. The question to ask is, what chance will the Xbox One X have of gaining cut-through if Microsoft are unable to address the fundamental issues they have with engaging the Japanese gaming communities? Are Japanese loyal to local products? The most commonly cited excuse is that Japanese consumers are typically hostile to foreign products, with their intense brand loyalty to the ‘home-grown’ giving Playstation the significant edge. This doesn’t ring true however, in that there are several examples of foreign companies dominating the market in Japan. Amongst these is in fact Microsoft, as their PC Windows platform is being employed on more than half the computers in Japan and by almost double the number of users of their nearest competitor, Apple. Apple themselves have also seen huge success in the Japanese smartphone market. With smartphone use at almost 94% in the country, the iPhone has an amazing 51.7% of market share. As hard as it might be for Xbox marketers to admit, they cannot hide behind excuses, but have clearly failed to present their product in a way that engages with the Japanese market. One problem Xbox are still struggling with, and where the Microsoft OS and Apple smartphone have excelled, is the assurance of exceptional product quality which is integral to attracting the Japanese consumer. The Xbox brand suffered a cataclysmic blow with the Xbox 360 ‘Red Ring of Death’ saga. The severe overheating issue which cost Microsoft around £1.15 billion and resulted in consoles needing to be replaced became an international news story, tarnishing the consumer trust in the Xbox brand. With Playstations lasting for 10 years without problems, the comparison would have only confirmed Japanese consumer’s beliefs that their money would be more wisely invested in Playstation. Microsoft’s next launch, the Xbox One, would have been a huge opportunity to regain consumer trust, but sadly this too failed to capture the hearts of the Japanese consumers. Despite quality trumping localisation, when given the choice between two quality consoles, the general consensus indicates that the Japanese market has been swayed by the much larger library of games, both Western and Japanese, from Sony. By refusing to localise their offering, Microsoft are already alienating this market and losing their share of a vast gaming industry. Did Xbox do right with localisation? Stylistically, the Japanese game designers take a very different approach to storytelling than Western creators, meaning Western games are not necessarily going to connect as well with the Japanese audience. Deviating from the Western market’s love for the first-person shooter genre, the Japanese games industry skews heavily towards the JRPG (Japanese Role Playing Game) and slower paced, narrative driven Japanese video games. As is true of all consumer groups, Japanese audiences value feeling like brands are directly addressing their needs and values, but by excluding these from their catalogue, Microsoft show they are not strategising with the Japanese gamer in mind but maintaining a Western-centric approach within their local market. “Firstly, Microsoft made a huge blunder by bundling the Xbox One with the Kinect, a motion detector that could also be activated through voice commands. For this technology to be successful it must always be left on. This fails to understand fundamental Japanese cultural factors such as the importance of privacy. An always on system is unappealing to most Japanese households because it’s a constant surveillance which naturally is incredibly intrusive. Secondly, most Japanese apartments are so small there is almost no room to utilise the motion reactivity which is a key selling point of the Xbox One. There’s certainly no room to sufficiently move around for games such as Dance Central. How to connect with the Japanese market? At the very least, Xbox are trying to address the issue of ignoring the Japanese viewpoint on their consoles. Xbox division head Phil Spencer’s recent trip to Japan has been publicised as a way that they are trying to connect with and gain credibility within the Japanese market. By getting Japanese game developers on board and discussing their anticipation of the latest console launch, Spencer seems to be attempting to quell the consistent fear that Xbox will continue to neglect the Japanese games market. Unfortunately, this also comes with the news that a number of games, including Nier, will not be available on Xbox. The question that remains is can Xbox overcome the many blunders it has had in Japan since the first Xbox and regain its reputation? Even if they do manage to do that they will still have to prove that the Xbox One X is worth buying over the Playstation, which still appears to be far more in tune with its home audience.